Though reviews for Rodney Ascher’s debut documentary Room 237, which collected a handful of elaborate interpretations of Stanley Kubrick’s The Shining, were generally positive, a handful of prominent figures, including Stephen King and former Kubrick assistant Leon Vitali, came out against the film. The basic gist is that the theories on offer in Ascher’s film were total bunk, with not even a distant relationship to what either King or Kubrick intended. Leaving aside the fallacy of intent—i.e. the false notion that authors encode their work with meaning, thus disallowing independent conclusions—this sort of griping completely missed the purpose of Ascher’s film, which isn’t about offering cool new theories about The Shining so much as exploring how the human mind works, and how we can dramatically shape and organize information to peculiar, fascinating ends. The fun of Room 237 is following these counterintuitive trains of thought, even if we ultimately conclude that they’re veering right off the track. 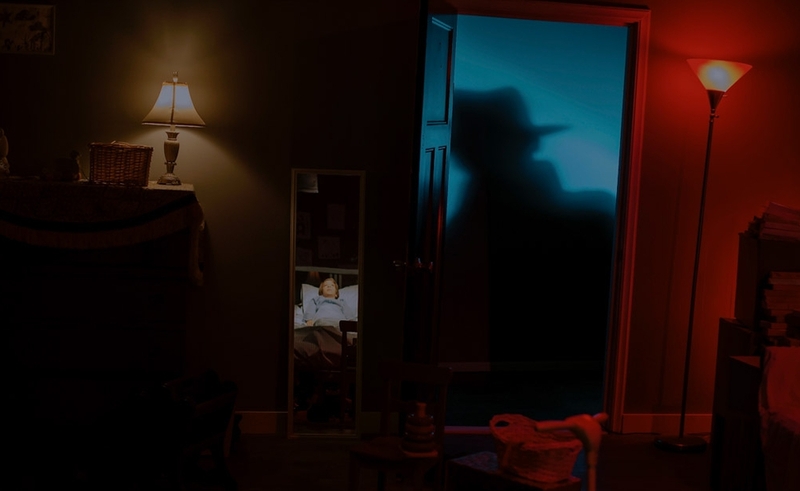 Jean-Luc Godard famously said the best way to criticize a movie is to make another movie, and that’s what Ascher has done in part with The Nightmare, an unnerving documentary about sleep paralysis that doubles as a sly brush-off to Room 237’s critics, if only by affirming what really drives his interest. Here again, Ascher has assembled a disparate group of subjects around a similar theme, and again allowed them to elaborate, without an “expert” or anyone else intermediating. Some of their theories about why they’re experiencing sleep paralysis may be far afield, or psychosomatic—as crackpot in their way as the idea that The Shining featured Kubrick secretly apologizing for staging the moon landing—but Ascher loves to explore the places their minds go, and find creative ways to articulate it visually. Comparing and contrasting the experiences of eight subjects, whose descriptions overlap in many regards, Ascher delves into the mysteries of sleep paralysis, a disorder in which the body shuts down all motor functions while the brain is in a conscious state. (Our own Mike D’Angelo happens to suffer from it.) Just the concept of being awake yet unable to move is disturbing enough, particularly for the claustrophobic, but the men and women in The Nightmare have the additional problem of bad dreams manifesting themselves as grim, real-seeming hallucinations. “Shadow men” are a common denominator, as are out-of-body experiences, invasive sounds and voices, and a general feeling among all the subjects that there’s a palpable malevolent presence in the room, and nothing can be done about it. Stress is cited as a factor in sleep paralysis, but given the stress caused by sleep paralysis, the cycle can be self-perpetuating. Where Room 237 is as much visual essay as documentary, with disembodied voices overlaying relevant footage from The Shining and other sources, The Nightmare finds Ascher asserting himself much more boldly as a filmmaker: This is documentary horror, not just a documentary about a horror. The interviews are all filmed in the low-light pallor of a haunted-house picture, and Ascher stages stylized re-enactments of these dream-like incidents to give the audience a startlingly visceral idea of what they’re really like to experience. There are stretches of tedium in The Nightmare, as might be expected of any situation where people talk about their dreams, but Ascher’s deployment of horror techniques is creepy and deft, whether he’s expressing an agonized state of helplessness or unleashing a few big jump-scares. The Nightmare isn’t a scientific inquiry any more than Room 237 is a showcase for out-of-the-box critical insight. Ascher limits his scope to these eight people, rather than attempting a sweeping overview of sleep paralysis, and as with Room 237, there’s plenty of room for skepticism on the audience’s part. What’s common to both films is a fascination with the brain’s capacity to create, to deceive, and to drift beyond the boundaries of the expected. With The Nightmare, Ascher abandons the strictures of a conventional documentary to frolic in the terrifying netherworlds of human consciousness. It’s not enough for Ascher, a sufferer himself, to tell his audience about sleep paralysis—they have to feel it, too.